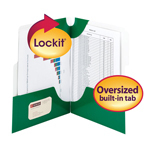 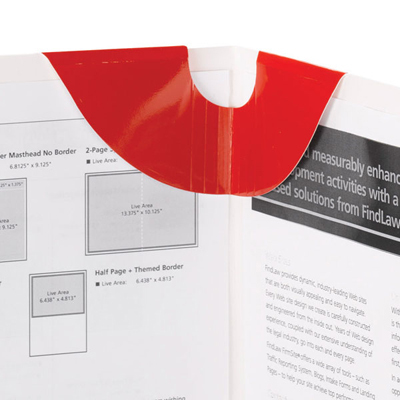 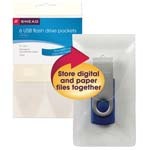 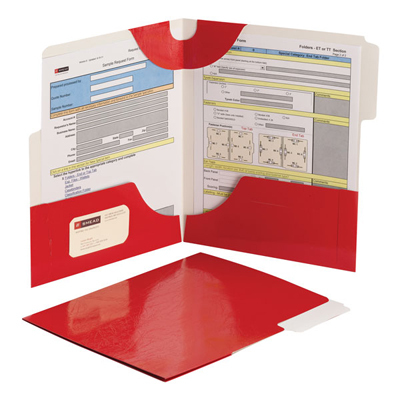 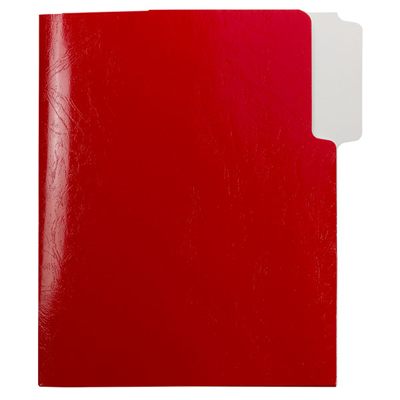 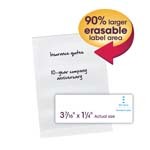 The SuperTab® Lockit® Two-Pocket Folder has a built-in tab, making it easy to label and file. 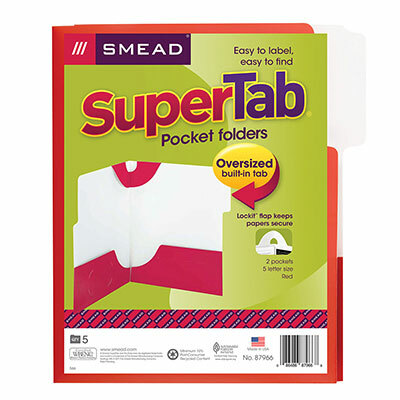 The tab is 90% larger than a traditional file folder tab which allows you to use a larger font or add more lines of text. 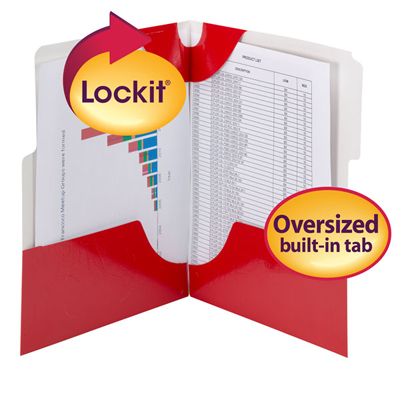 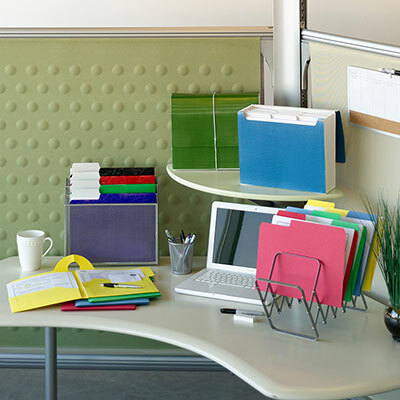 The unique Lockit® feature at top folds over to secure your important documents and prevent them from falling out. 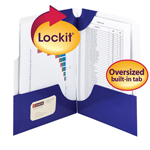 Made from durable laminated material, it features large pockets that safely hold documents for easy transport while keeping them readily accessible. 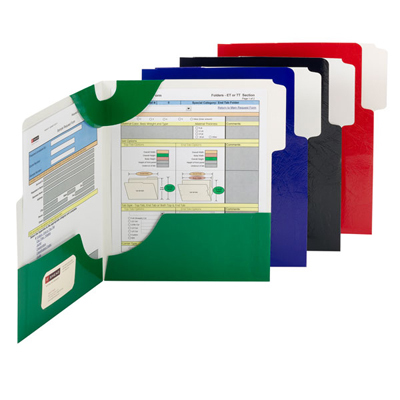 Choose from a variety of colors.